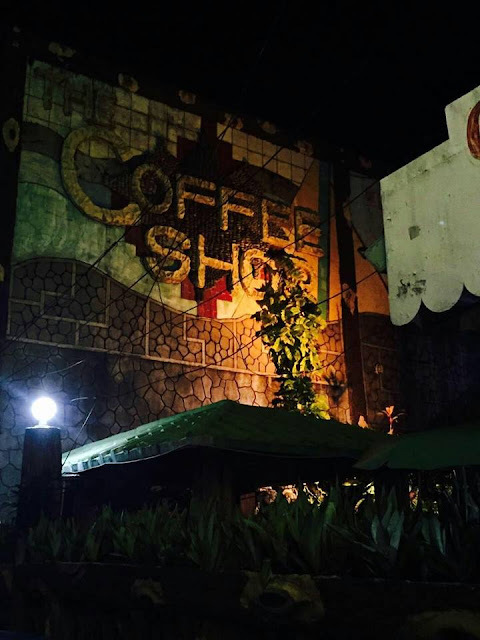 Coffee Shop at No. 2 Rizal St. Bo. 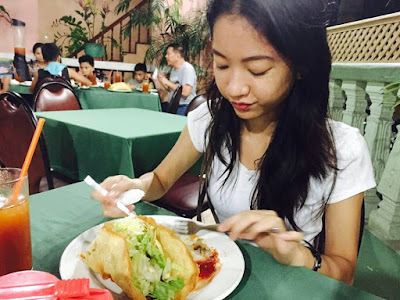 Baretto Olongapo City has been popular due to it's jumbo tacos. I remembered to have dine in here numerous times due to the fact that we live close to the area during the time that the now famous resto was just starting. Whenever we crave for tacos, our destination would always be "Coffee Shop" but what I love more about this restaurant is having our meal at the garden area. It's an outdoor space and we can have a breath of fresh air and a nice view of a garden. This is just perfect if you wish to have a quiet time or a private conversation. Over the years, they've been adding more items on their menu and is now offering a variety of food items, however their jumbo tacos is still the "best seller". My recent visit to this resto was last month and as I've entered the place, I felt a bit disappointed as the place seemed to be not maintained properly. No improvements were introduced to the place and taco price is getting higher and higher. There was no available table on the outdoor are, so my daughter and I decided to have our tacos at the second floor. The entire place looks old and musty. Nothing seemed to be exciting anymore. I understand that the tacos is their best seller but at least it should be improved even just the presentation or how it is served. Anyway, Coffee Shop is still a good place if you are craving for great tasting tacos but if you are looking for more, then I suggest you try other restos nearby.